by Seattle Bellevue's LA Beverly Hills Trained Face Lift Expert Dr. Philip Young with over 15 years of Facelifting Experience 1400 Facelifts! Question: What is a face lift and am I a candidate? Answer: A face lift / facelift / mini face lift / weekend lift / quick lift / smas lift / lunch time lift / and other advertised facelifting procedures all entail some element of elevating the skin in front of the ear and then pulling on parts of the facial muscles. By doing so, you are able to lift parts of the face. The areas that most people want lifted are the jowls, the folds around the mouth, and the neck. See below for the little thumbnails to help you visualize what we are talking about. When you discuss the neck, some surgeons / doctors like to refer to this part of the procedure as the neck lift or necklifting. In terms of being a face lift candidate, we have performed facelifts for people from the ages of 34 to 96. 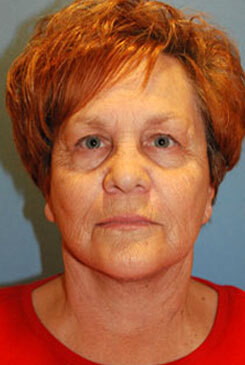 Most commonly, the age range for a facelift is from the ages of 45 -65. Aging starts very early on in your late teens. Although not as noticeable at this age, aging continues to progress as you age into your 20′s and 30′s. It becomes more of an issue when you reach your 40′s. Prior to your 40′s and well into this period of aging, people often start trying less invasive treatments like Botox® / dyport and fillers like Restylane®, Perlane, Juvéderm®, Radiesse®, etc. If you follow the links above, you will find some helpful information regarding where in the face (i.e. jowls, nasolabial folds, marionette lines, cheek and middle part of the face, and neck) the face lifting procedure will improve. We have some very nice images that will really help you understand the process. This will help you approach your consult in a more informed way. You will be able to ask better questions and get more out of your initial consultation. One thing that will automatically stand out to you is likely the surgical nature of face lifts and face lifting. There are options which we will cover in the next question. In terms of health, there are certain physical statuses that most surgeons / doctors will classify you to determine the level of risk from a face lift you will have based on your classification. The American Society of Anesthesiologists has the most well-known classification termed the ASA physical status classification system. We tend to limit most of our procedures in our office to people in the ASA 1 and 2 level. Most people with level 2 status will likely also be required to get a medical clearance to make sure you are well enough to have the procedure. People that are in the ASA 3 or greater will likely need to have their procedure done in a hospital setting or at least have this option available. Our facility is AAAHC certified. You can read more about the AAAHC here. Question: What are other options other than face lifting that I could consider? Answer: This is a commonly asked question. As we mentioned above fillers (Restylane®, perlane, Juvéderm®, Radiesse®) and neurotoxins (Botox® / dyport) are less invasive options. The problem with fillers and Botox® / Dysport® are their longevity. Fillers last anywhere from 3 months to a year. Rarely do they last more than a year. Botox® and Dysport® last even a shorter amount of time in the area of 3-4 months. The YoungVitalizer is a great option to consider. The YoungVitalizer is a breakthrough incision less face lift alternative that can even better results than traditional procedures in our opinion. It is a minimally invasive face lift option that does not require any facial incisions, can be done without general anesthesia, and is associated with much less discomfort than older techniques and procedures traditionally performed to lift the face. See this Introductory Video of Dr. Philip Young and what his patients had to say about him!! Question: What kind of anesthesia would I need for a facelifting procedure? Answer: Traditionally, face lifting and many other procedures have been done with general anesthesia. In this type of anesthesia, you are totally asleep and even in a deeper state of unconsciousness than sleep. Although, you are the most comfortable, per se, when you are having a procedure done under general anesthesia there are risks with this choice of getting a procedure done. There are many risks with general anesthesia. One concern that many people have is that it can permanently affect your mental abilities and your brain function. Some are concerned that Alzheimer’s is promoted more with this type of anesthesia. Because you have to be relaxed during this anesthesia to allow you to tolerate a tube down your windpipe, this relaxation places you more at risk for a deep vein thrombosis. This risk is increased if you are a female. Other risks of general anesthesia include trauma to your breathing tube, waking up during general anesthesia, malignant hyperthermia, etc. These are some of the many reasons why we elect to use Intravenous Sedation (or otherwise known as IV sedation). Many of these risks are more commonly avoided when you do IV sedation as opposed to general anesthesia. With IV sedation, you don’t have to be relaxed to accept the endotracheal tube because you don’t need one. You are breathing on your own with this type of IV sedation. So your risks for a deep vein thrombosis are much less with IV sedation. The level of consciousness is lighter. But you will not be aware of the procedure and you will most likely not remember anything during the procedure. IV sedation will have a greater chance of avoiding any minor damage to your brain function. But one of the more important benefits of IV sedation is that you will recover from this type of anesthesia faster. Dr. Barry Friedberg has found that through his technique the rate of nausea is much less with IV sedation as opposed to general anesthesia. You can read more about the different levels of anesthesia on this page. Question: How do I set up a consultation? Answer: This is easy to do. Our patient care coordinators can set this up for you at any time. You can call us at 425-990-3223 or email us to set this up. You can learn more about our consultation process with this link. We can even set up a virtual consultation for you through a phone conversation or via a virtual video web consultation through Skype. We can teach you how to take the 5 basic photos that we will need to help you during your initial consultation. Our consultations with Dr. Young are $125 however you can set up a complimentary consultation with our patient care coordinators or with one of our other doctors. Question: What is the recovery like after a face lift procedure? Answer: We usually say that most of your face lift healing and recovery will take place in one week. This also depends on how much is being done and to what extent. A mini face lift / weekend face lift / quick lift, etc. 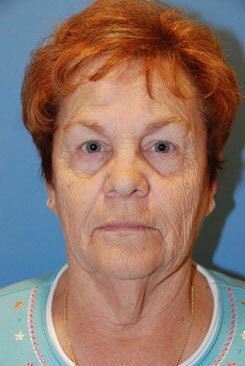 are some less invasive face lifts approach. We typically tell people that you will have 60% of your healing at 6 weeks and 90% at 6 months. Most of the improvement though is within the first week. The healing tapers off at one week to reach the 60% mark at 6 weeks. Question: How do the incisions look like after a facelift and where are they located? Answer: The incisions for the face lift and neck lift procedures can be a little different. If the procedure is limited to lifting the face and less so for the neck, sometimes your incision can be limited to the area in front of the ear. The green solid line in the picture below depicts this. If you are doing more work in the neck, the neck lift incision can extend along the green dotted line in the image below. The solid green extends along the hairline in the temple region. These things can be discussed with your physician in more detail. Also notice that the solid green line goes behind the tragus, or the firm piece of tissue covering the ear canal. This hides the incision better. You can elect to have the incision go in front of the tragus instead. The incision in this particular approach will tend to show more. For males though, the incision in front of the tragus avoids having beard hair pulled up into the tragus area. Many males choose the incision to be in front of the tragus. Whereas, females prefer the incision behind the tragus.